Ryder has partnered with several innovative start-ups to provide the technologies that bring what was once considered the warehouse-of-the-future to life. Ryder System announced today the successful transformation of Ryder smart warehouses in the Miami, Dallas, and Chicago markets. These transformed warehouses – or showcase sites – deliver advanced automation, flexible and instantly scalable operations, real-time visibility, and a customer-centric experience. The Ryder smart warehouse showcase sites feature advanced automation, such as state-of-the-art robotics; autonomous vehicles and drones; sensors and automatic identification tools; and wearable technology, like smart glasses and ring scanners. 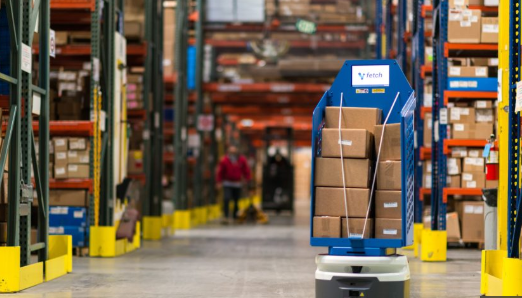 Robotics – The implementation of robotics throughout a Ryder-managed warehouse produced a 25-percent increase in productivity and 20-percent operating savings, simply by reducing travel time in the warehouse, which can account for 30 percent of an employee’s shift. Drones – At a Ryder customer warehouse, drones successfully scanned pallets and locations in 20 minutes, compared to a manual scan which took 90 minutes. Additionally, a cycle count on the entire warehouse took just three hours versus two days. The drone can also identify available pallet locations and verify product placement. Sensors – Identification tools provide real-time asset location and enable performance management. When implemented throughout a Ryder facility, productivity and cost savings increased more than 25 percent. Wearables – When Ryder deployed smart glasses at a customer warehouse to improve picking processes, the time it took to pick and scan inventory decreased by five to seven seconds per item and improved efficiency by 33 percent.